What is your screen locker in Android? Standard system or vendor? Or you went ahead and somehow it was customized by choosing from the sea that the utility suggests you today in the Google Play Store? We have repeatedly written about alternative lockring. Some of them just looks more pretty than the ones we get from boxes. Others are much more functional. Still others combine both beauty and functionality. And each developer their own vision and style and opportunities required for this type of programs. The creators of the Echo Lockscreen I decided it was worth to pay attention to how the system works with notifications and reminders, expanding its capabilities for its creation. 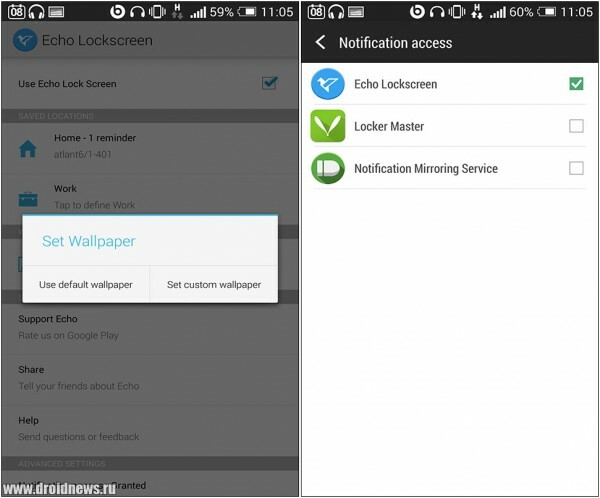 Echo Lockscreen offers users new to look at notification management system. Stylish lock screen, which you will not see anything extra: clock, date, battery level, and an inscription stating that a gesture to the right you can unlock the device. 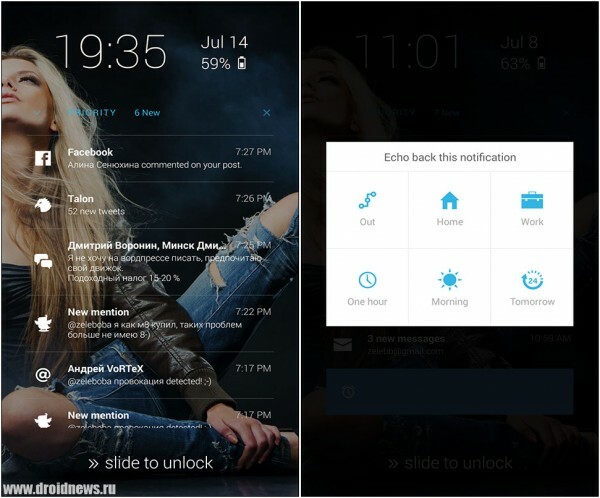 In addition, as the system accumulates events, the lock screen displays a variety of notifications from all installed Android applications. Whether it be a screenshot or a request for friend in Facebook, or a notice about the new calendar event. Echo LockScreen feature is that each notification you can either trite gesture to throw, thus indicating, as read, or open the application that is responsible for it, or postpone it for later. Here you can choose to wait until morning, remind me in an hour to zoom through the day, or to inform us about the event again at home or at work. Work and home are defined in the settings, by specifying the home and work Wi-Fi network. 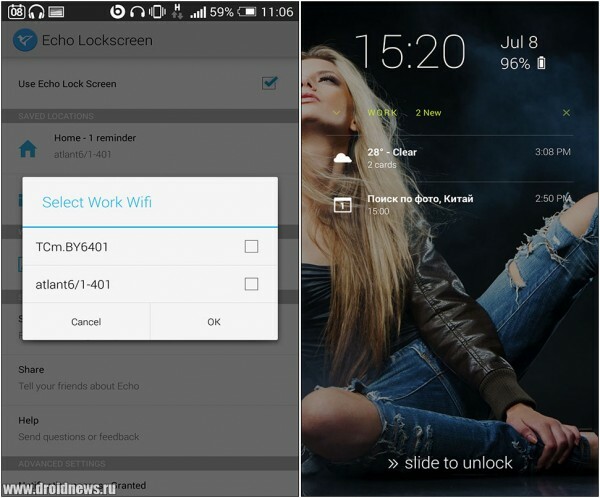 Echo Lockscreen is able to group notifications by type or to display individually. Additionally, the application will easily allow you to set the background image of the standard, or giving to choose something from your gallery work in full screen mode or by hiding the default notification bar, and if necessary to customize the notification behavior for each individual application those are installed in your system. It's Nice that Echo Lockscreen is free and easily downloaded from the Google app store. In short, if you are fed up with standard ad blocker, you should try Echo Lockscreen is that it can settle down on your unit for the long term. 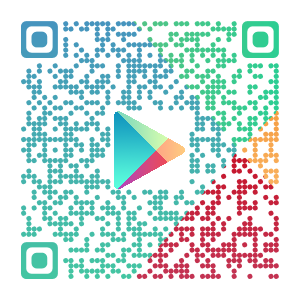 to Install "Echo Lockscreen" via Google Play Store.